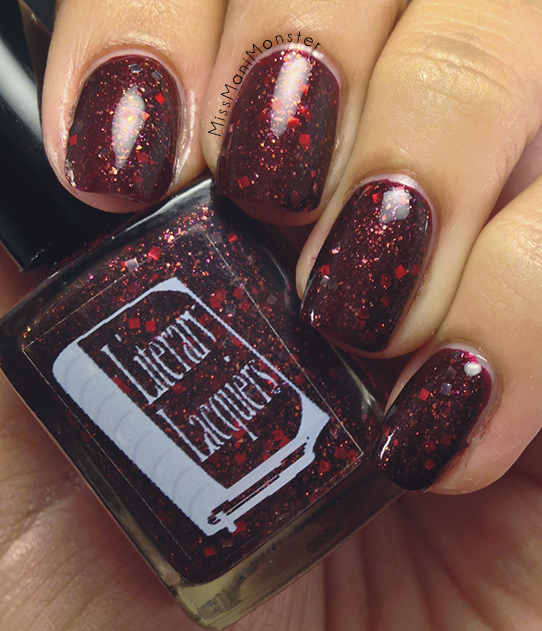 It's Monday again and the weekend is never long enough, but no doubt I made time to swatch these beauties from Literary Lacquers! 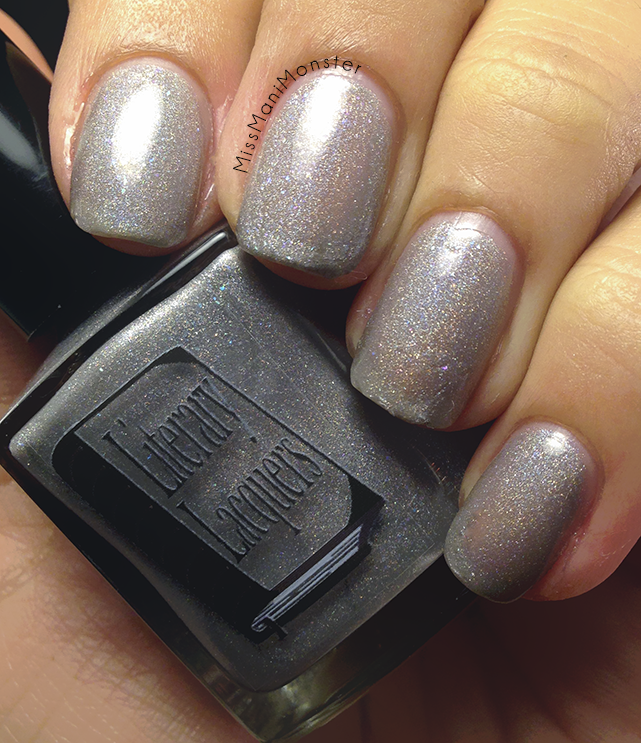 The first of 6 swatches is of Sidewalk's End, a stunning semi-sheer gray holo representing Where the Sidewalk Ends, by Shel Silverstein. 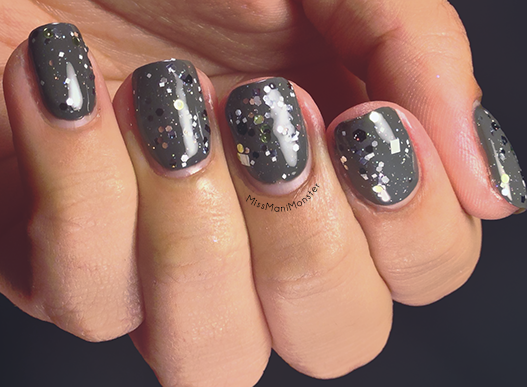 Shown are 2 thin coats with topcoat. 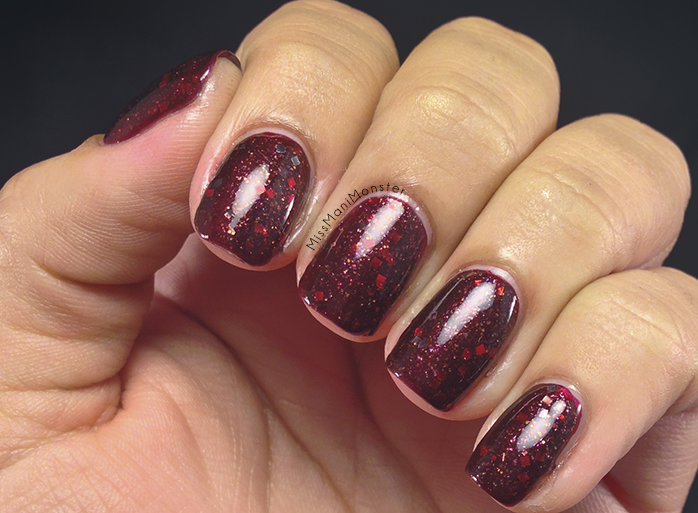 The next swatch is of Lucy, a blackened ruby red polish packed with blood red glitter; this is from the Dracula collection, representative of Lucy's character. 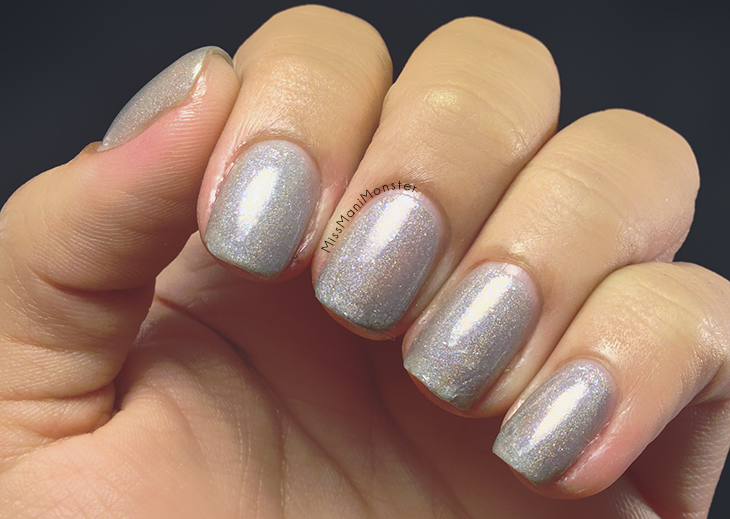 Shown are two thin coats dabbed over Zoya Blair with topcoat! 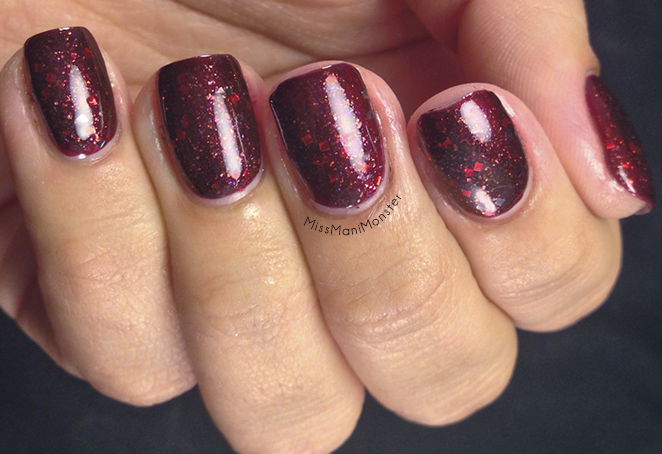 This went on beautifully! 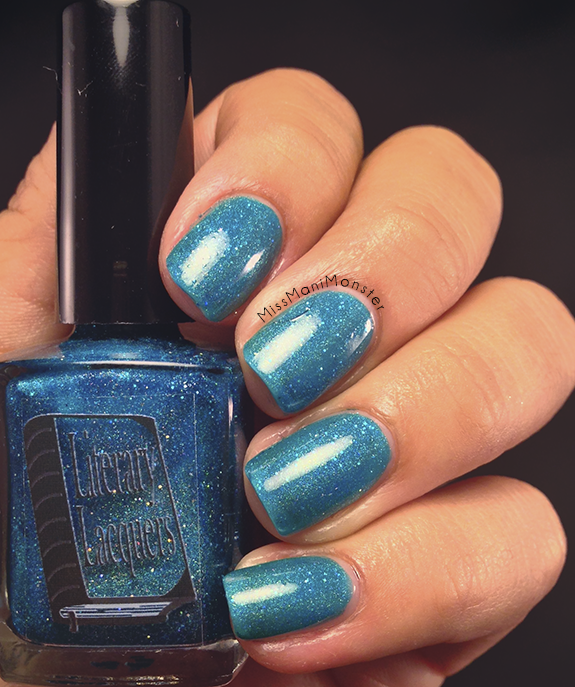 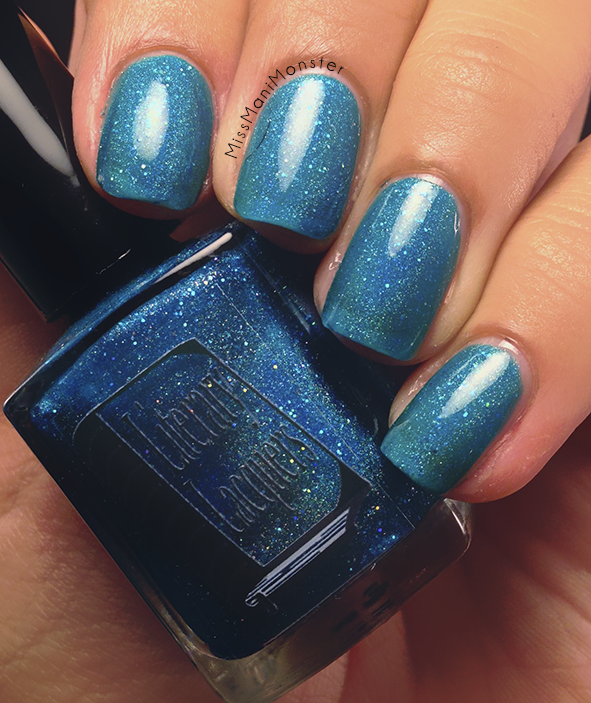 Next is Pan Galactic Gargle Blaster, a breath-taking turquoise linear holo with added holo glitter! 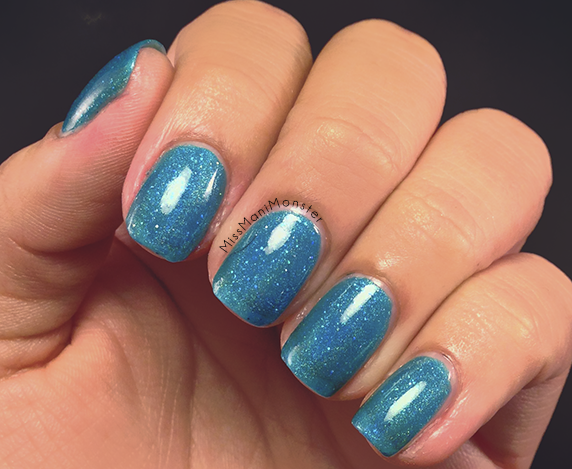 Two coats were the perfect opacity for me! 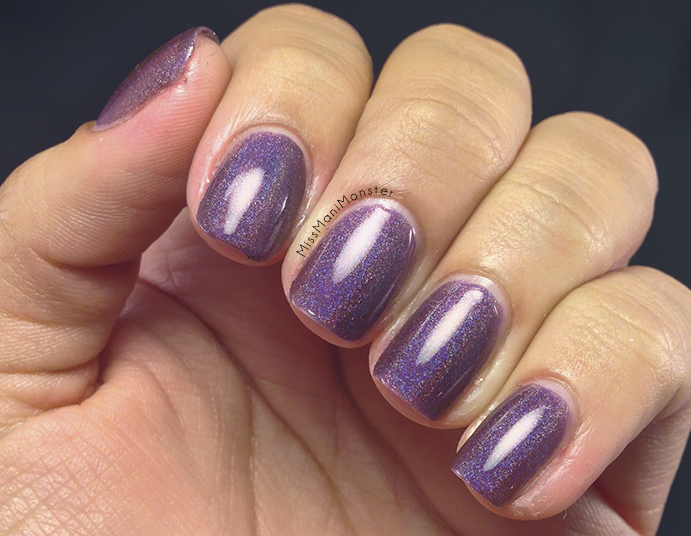 This polish is inspired by a cocktail invented by Zaphod Beeblebrox, a character from The Hitchhiker's Guide to the Galaxy by Douglas Adams. 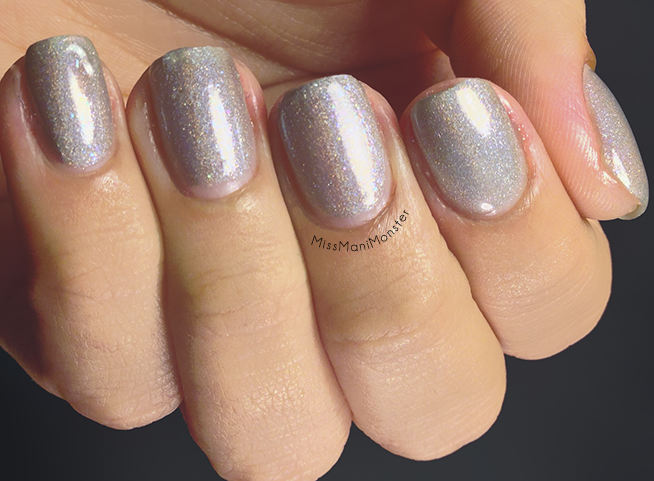 Next is Two at the Very Most Martini Glitter Top Coat, inspired by literature's favorite cocktail! 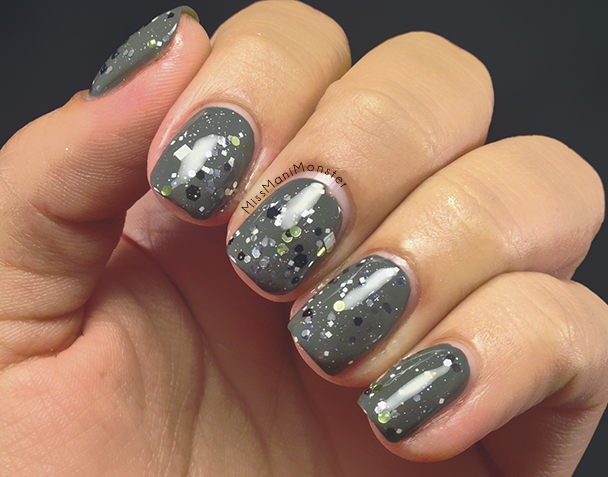 This topcoat features black hexes, gunmetal hexes, silver chrome hexes, and white squares, with a hint of holographic microglitter and green circle glitters for the olives! 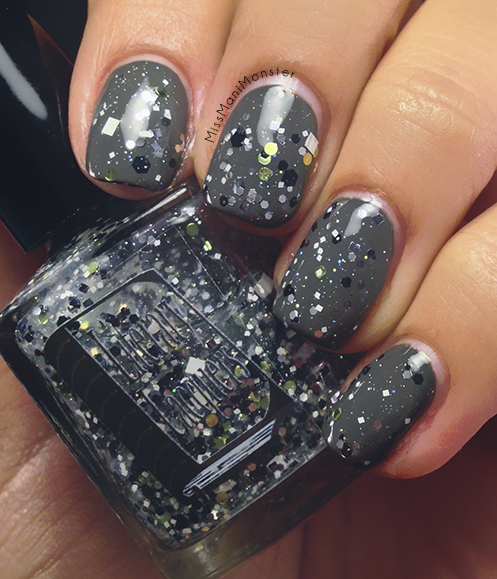 I layered this over Essie's Power Clutch. 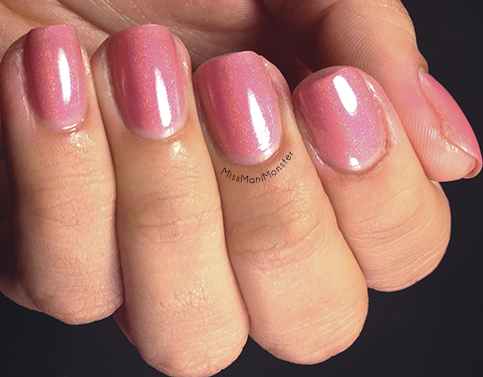 The next set of swatches is of Strawberry Ice Cream Soma, inspired by Aldous Huxley's Brave New World. 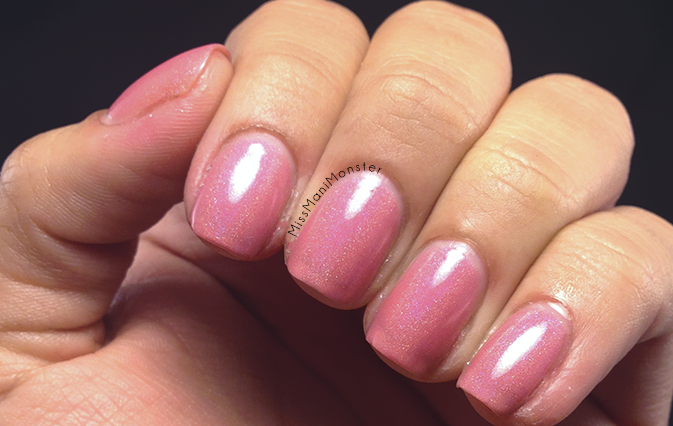 This warm pink crelly holo is "office appropriate!" 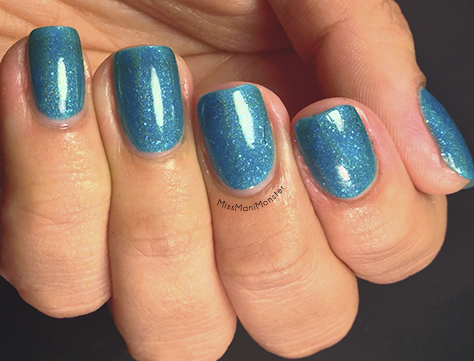 The final set of swatches are my very favorite! 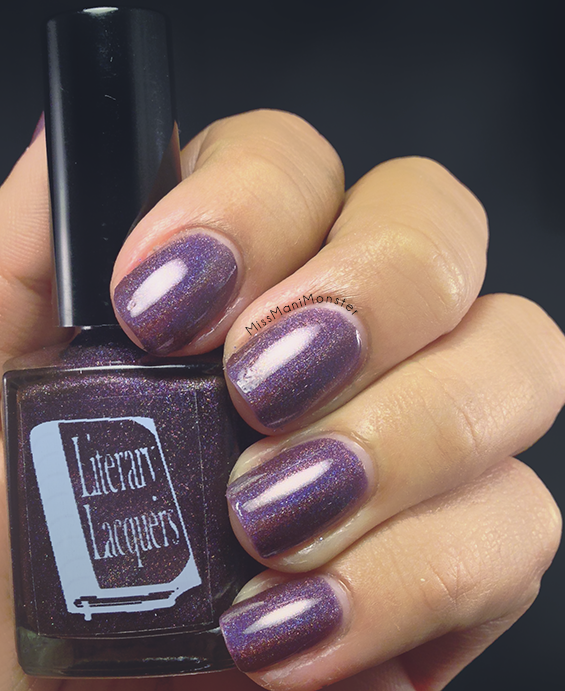 They are of If It Pleases You, inspired by The Claiming of Sleeping Beauty by Anne Rice, a fun fairytale about what happens AFTER Sleeping Beauty wakes up - and this time she wasn't exactly awakened by a kiss from the prince! 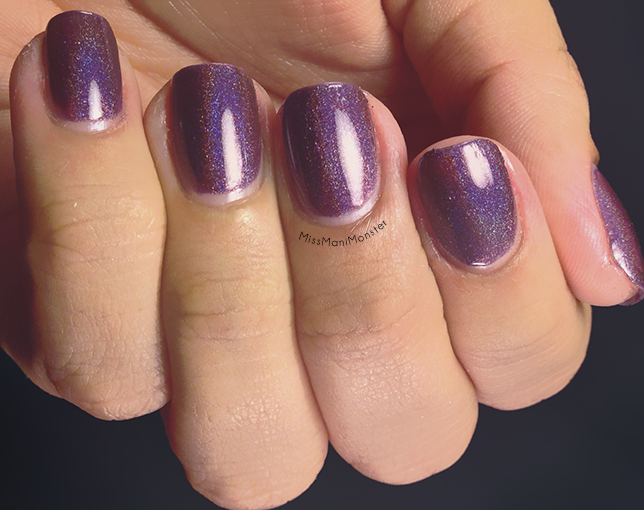 This is a deep plum holo with a hint of brown. 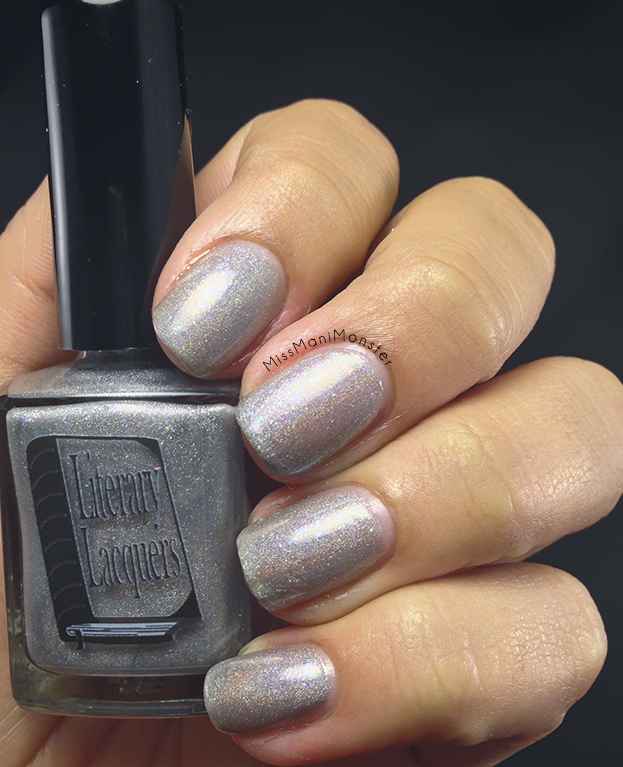 Perfect in two coats and topcoat for shine! 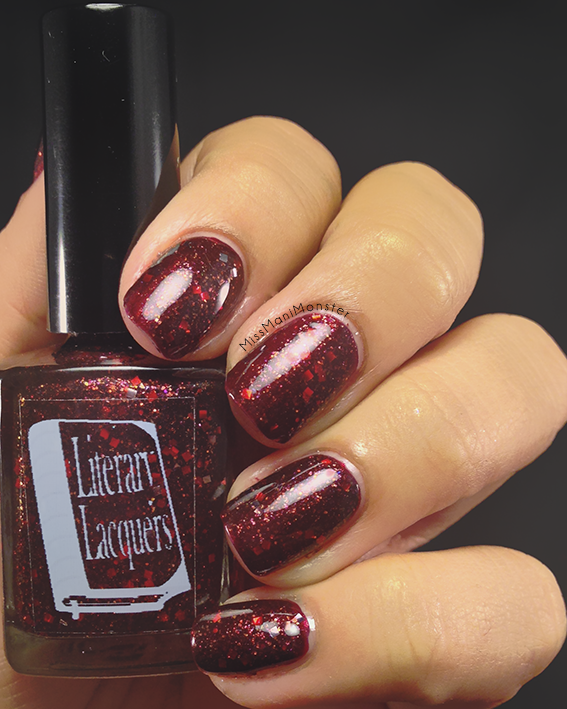 If you think these are beautiful, wait 'til you see Literary Lacquer's ENTIRE Etsy store! 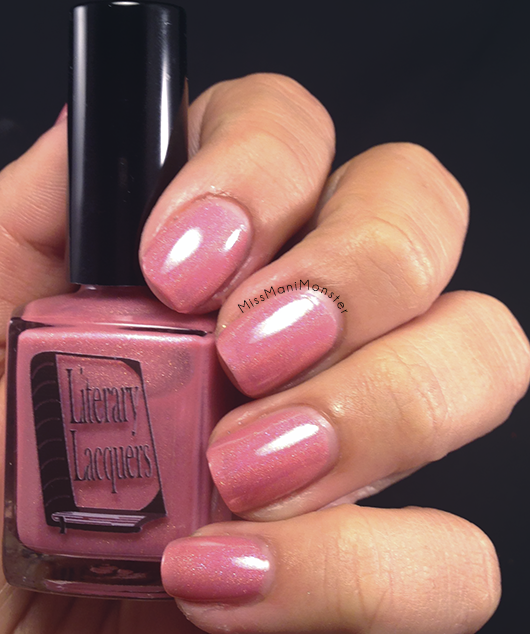 Please check out Literary Lacquers on Facebook as well!